Dashi (delicately flavored soup stock) is one of the secrets of world-famous Japanese food culture. Even famous chefs around the world have all begun to explore its subtleties. And now a traditional Japanese restaurant Kohana, just opened in Ebisu, raises dashi to a new level. 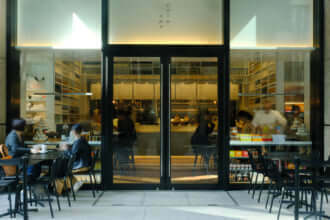 The old-school menu offers full-course dinners starting at ¥10,000, based on seasonal ingredients. 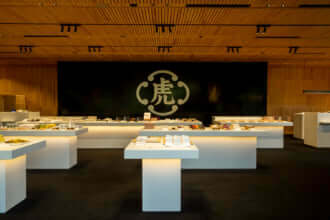 Most of the cuisine on offer has been enhanced in some way by dashi prepared from various ingredients. The conventional Japanese meal featuring a first course of soup, with dashi prepared from katsuobushi (smoked skipjack tuna flakes) or kombu (kelp), is de-emphasized in favor of accentuating the savory umami specific to that ingredient. The main course is selected from various fish and meats made available that day, and then prepared according to the diner’s fancy. The flexibility of the chefs is astonishing. 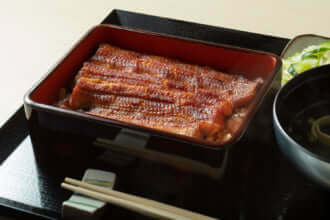 A fish selection, for example, might be ordered as sashimi, boiled in broth, grilled, or fried. A range of meats can be chosen from the day’s selection, such as Miyazaki beef, Hakata chicken, or Sangen pork from Soshu (modern Chiba Prefecture). Within that range, even the oddest requests—a sandwich of wagyu (Japanese beef) cutlet—unlikely at traditional restaurants, will be honored. Kohana is definitely recommended for diners who want to try eclectic combinations: ‘Give me wagyu steak and sashimi!’ Dashi, fresh produce, and culinary skills are uniquely combined for a single occasion— if you’re someone who never wants to eat the same thing twice, this is definitely the place for you!